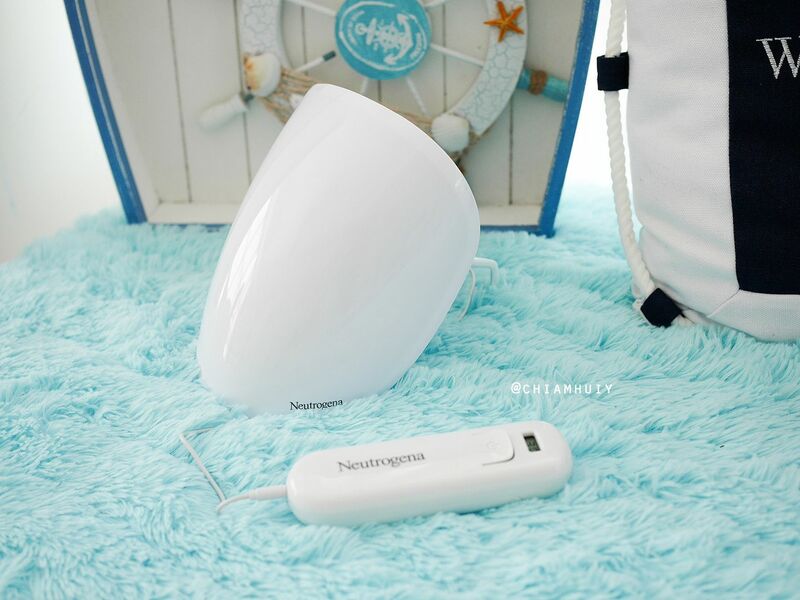 Achieving brighter skin with light therapy | NEUTROGENA® Fine Fairness® Light Mask. Magic mirror, on the wall - who is the fairest one of all? I'm sure there's a reason why there's such a line in fairy-tale, Snow White. Perhaps more applicable to Asians in today's age, many girls yearn to have fair and brighter skin. There are many ways to achieve that, it just depends on which way do you prefer. 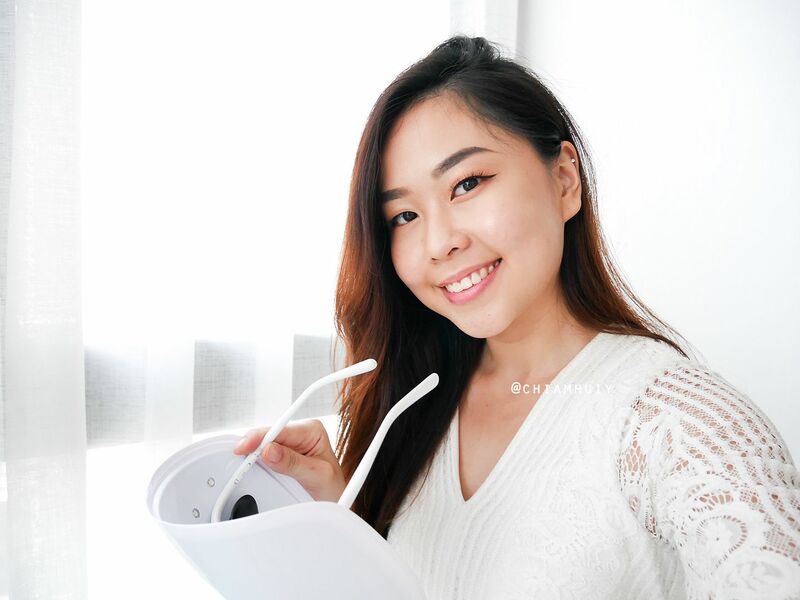 Let me do the honors of sharing with you one of the latest beauty gadget in the market that can give you radiance and boost your skin's firmness overtime. 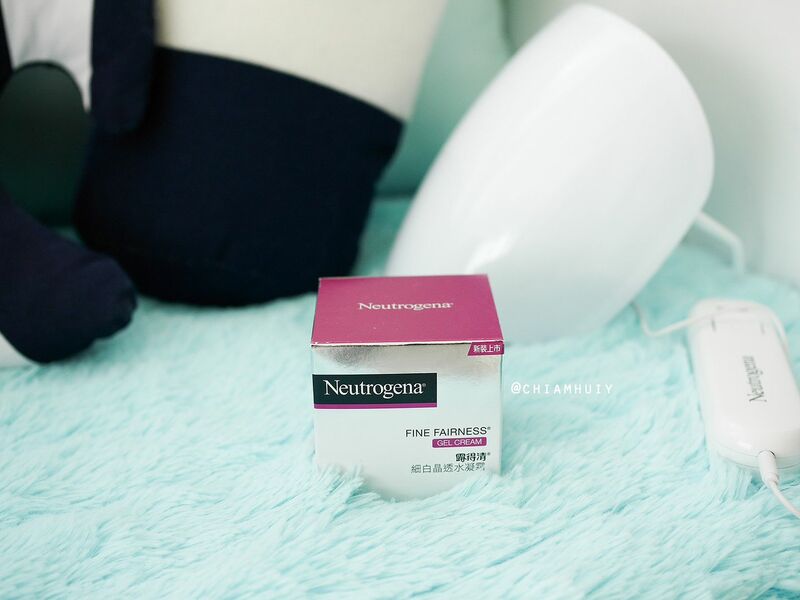 Introducing, NEUTROGENA® Fine Fairness® Light Mask. 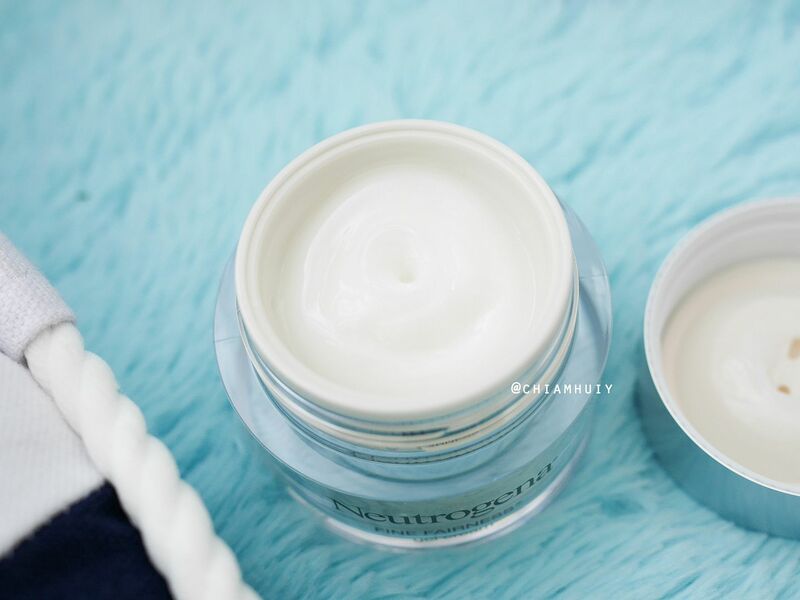 What is NEUTROGENA® Fine Fairness® Light Mask? 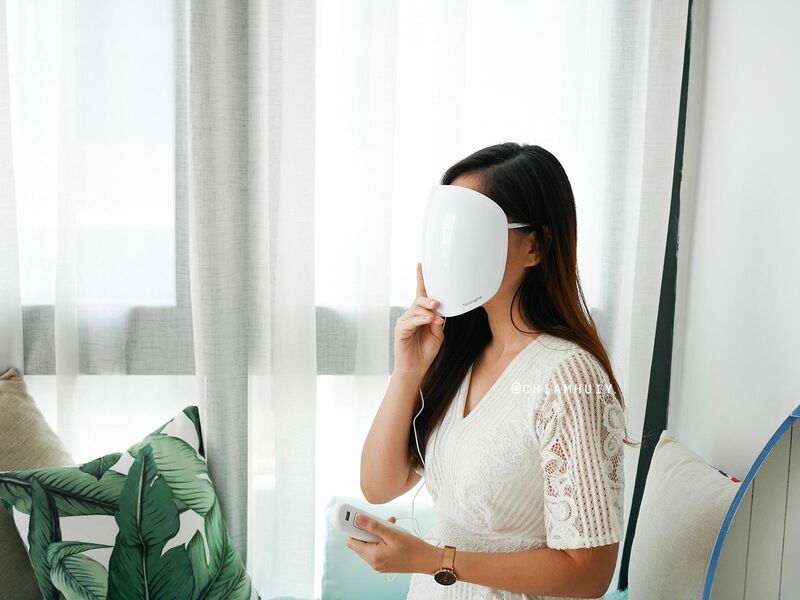 The light mask is a wearable LED device which you only need to wear for 10mins. 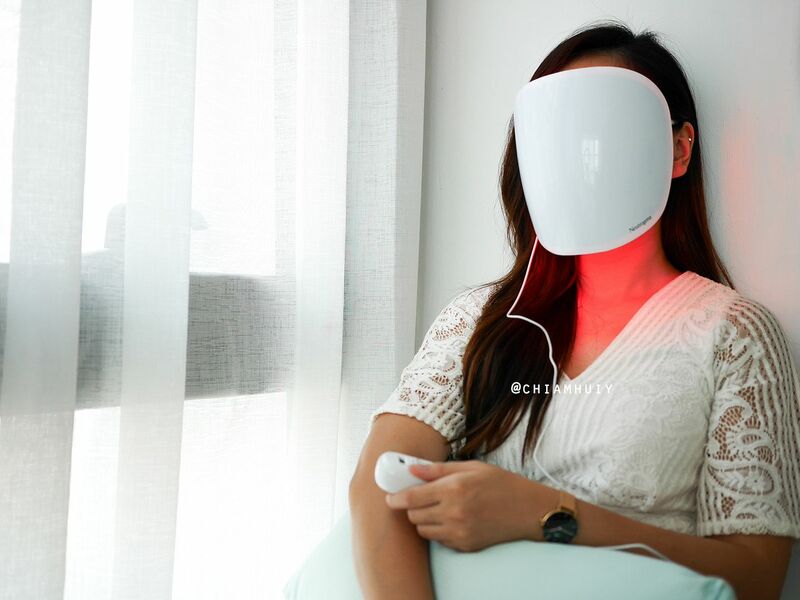 Throughout this 10mins duration, it delivers red and infrared wavelengths that goes deep into the inner layers of your skin at the speed of light to unlock its inner radiance. Inspired by the same LED technology used by NASA scientists, this technology has now been adapted to the Light Mask to increase the healing rate of wounds and act as an anti-inflammation mechanism. 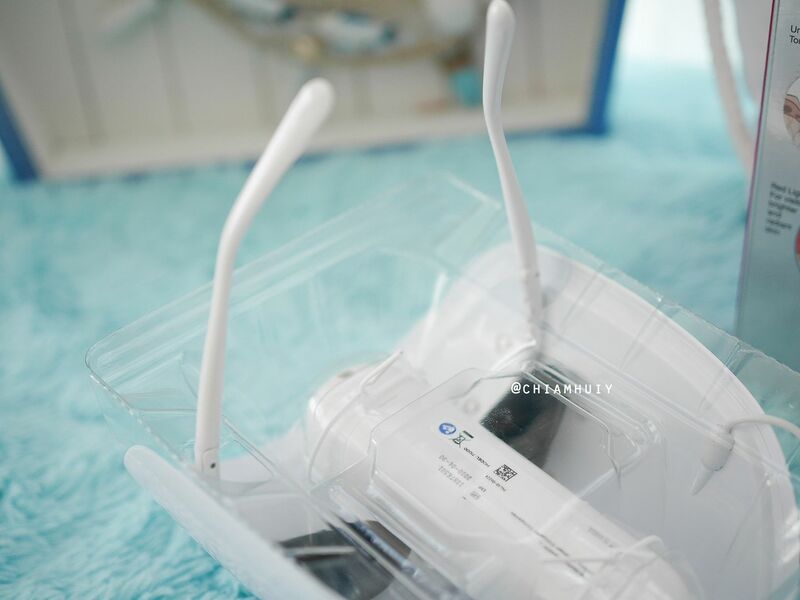 Why Light Mask and not any other whitening skincare? No doubt, whitening skincare can do its job in giving us brighter looking skin. 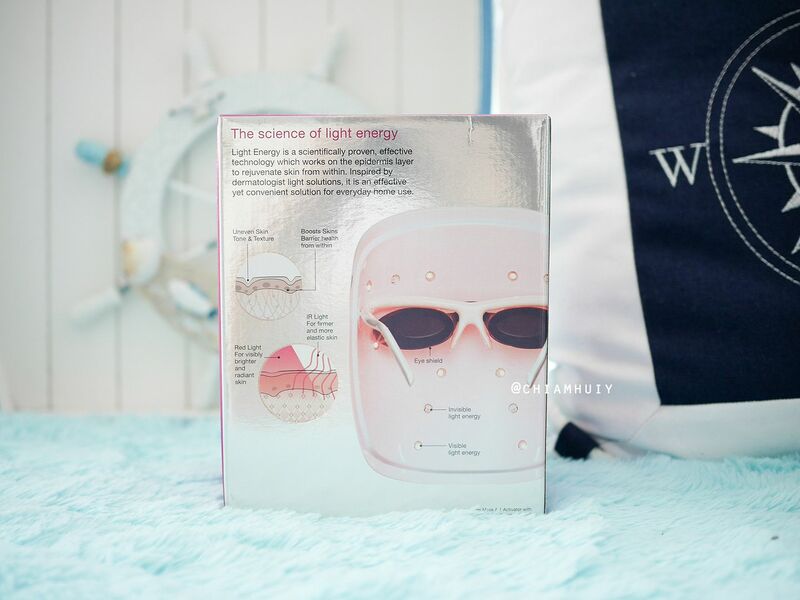 However, the use of light energy is proven to reach the deeper layers of the skin to activate the metabolizing cells associated with giving skin its luminosity. Also, the light can also activate enzymes, which is responsible in stimulating the production of brighter, newer skin cells and suppressing the production of melanin-induced dark spots. That is also why many aesthetics clinics have been using LED therapy for their patients. It's pretty evident that many treatments concerning skin brightening and pigmentation uses LED therapy. Yet most of the time, the costs are very pricey and it can be a hassle to visit the clinic every time for the session. 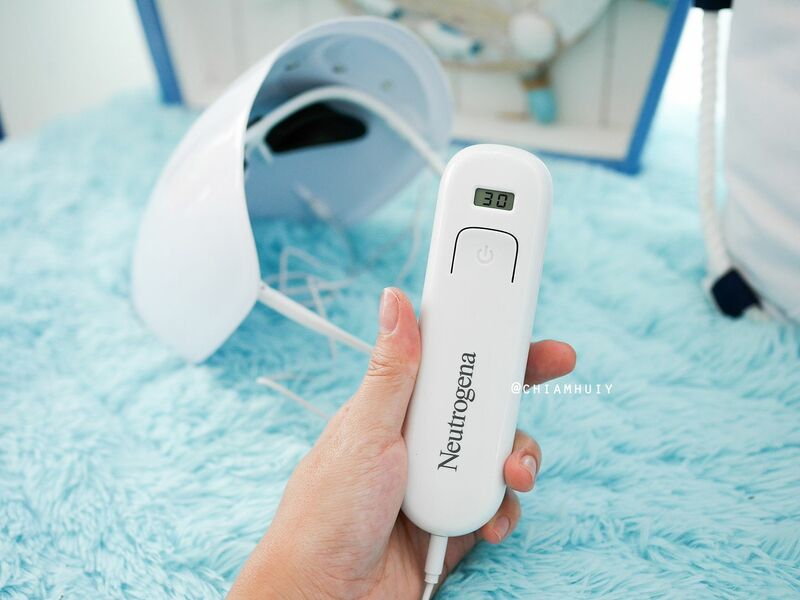 Do you know, NEUTROGENA® Fine Fairness® Light Mask is the very first wearable device that harnesses both red and infrared light for beauty benefits? 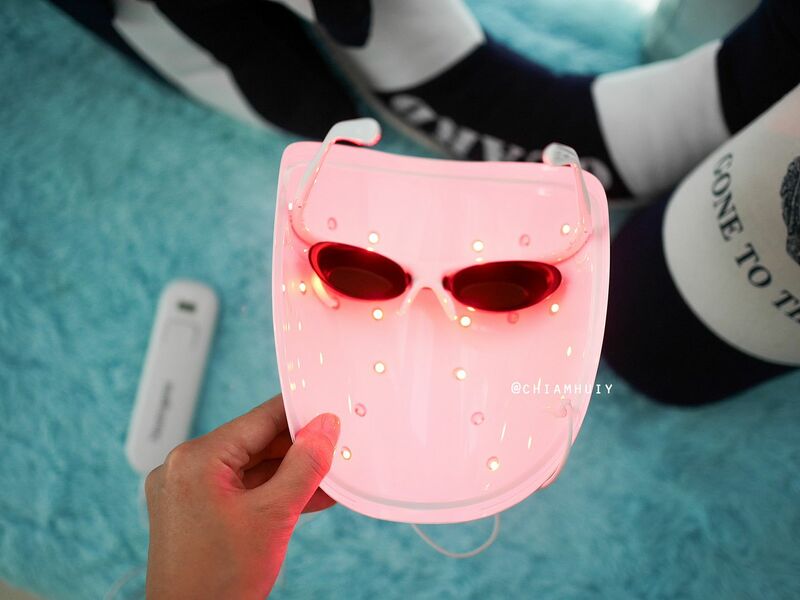 Both types of lights help to boost radiance, firmness and elasticity in skin, so that you can get back the youthful skin you may have lost over the years. Very nicely packed, the Light Mask weighs less than 100g. We definitely wouldn't want to wear a heavy mask especially when we have to wear it for 10 mins! 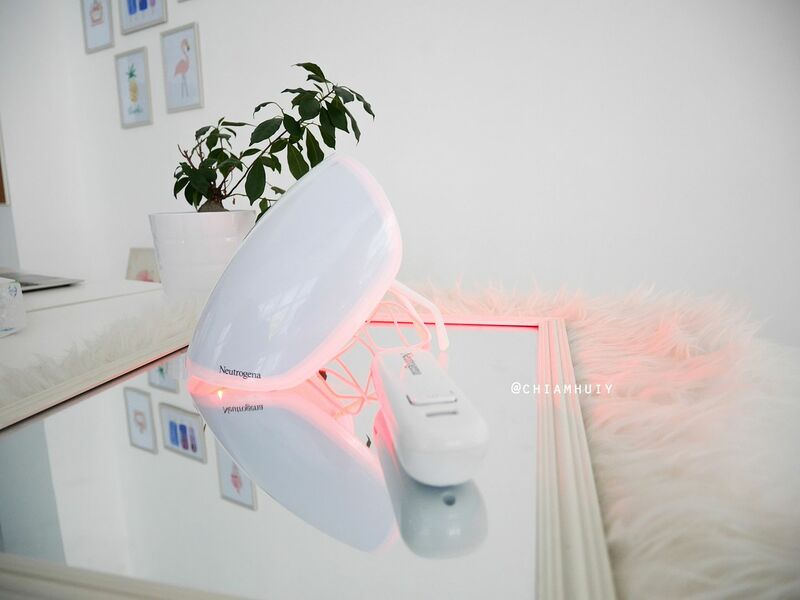 There are twelve red LED bulbs to help reduce inflammation linked to excess pigmentation, and six Infrared LED bulbs to help stimulate collagen and elastin production. 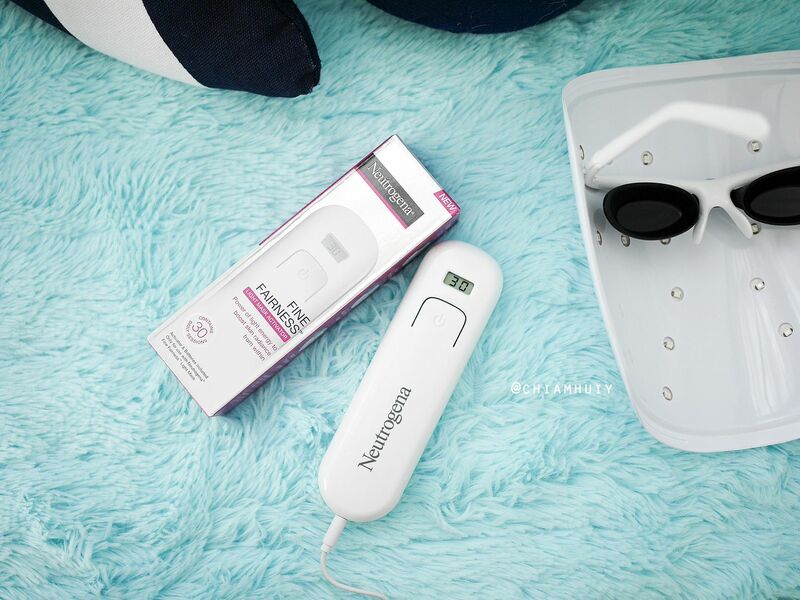 This way, say hello to plumper and more luminous skin! There's also a goggles-like protector that fits around your eyes to shield your eyes from the lights. Unfortunately, the Light Mask cannot be charged using electrical source. Each Light Mask Activator has a total of 30 applications, which means you can use for 30 times. After which, you will have to replace it with a new activator. But if you do the math, divide the per-session cost versus how much a dermatologist charges, it is $1.50 vs $300+ per visit! 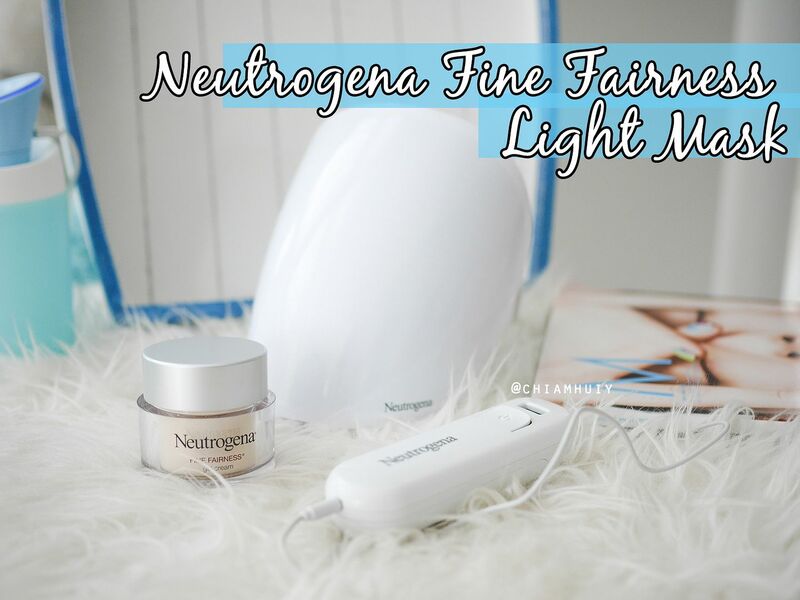 By now you should be able to tell, the use of NEUTROGENA® Fine Fairness® Light Mask is much easier than most hand-held lighting devices. 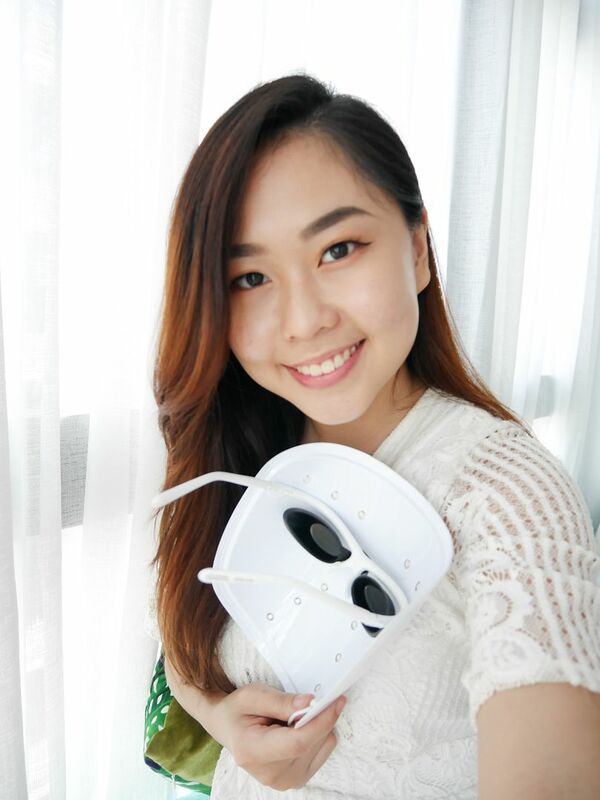 Instead of having to carry and hold the lighting device, you can simply wear on the Light Mask and relax for 10 mins, without holding it. You can use it any time you wish, but it's best to use it with clean skin. I like to use it after my shower, before I apply any skincare. Choose to play your favourite music for this relaxing session as well. 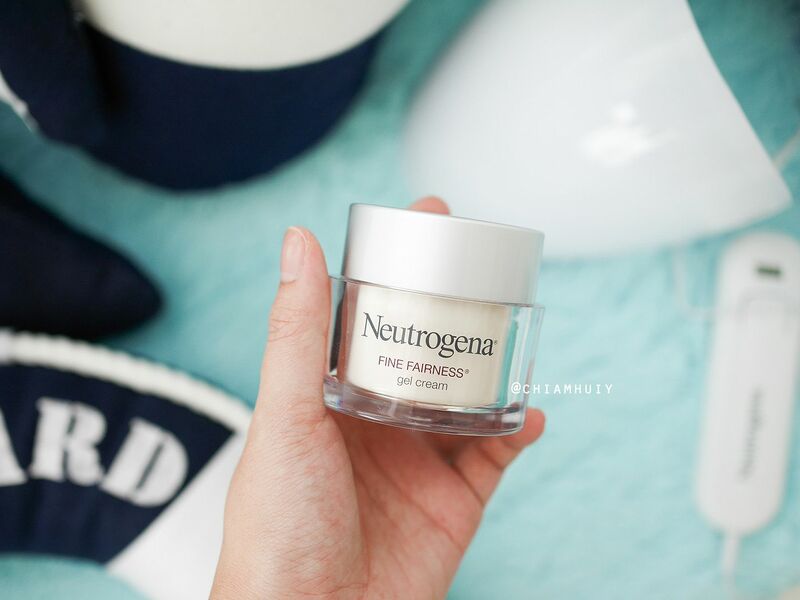 To follow up with the 10mins relaxing session using NEUTROGENA® Fine Fairness® Light Mask, it's best to use the Fine Fairness® Gel Cream. 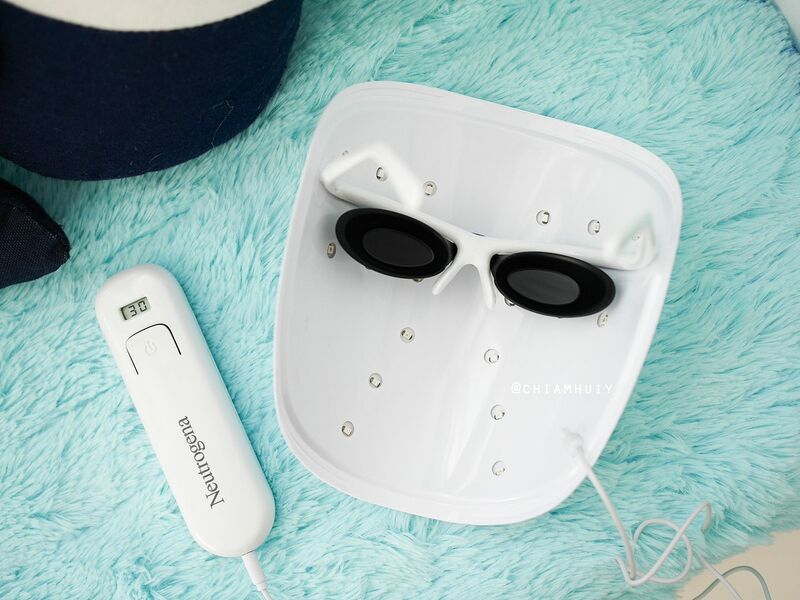 It is formulated with Healthy White Booster and loaded with Vitamin B3, C and Hexinol, all of which can now better reach the deeper layers of the skin after the 10mins LED therapy using the Light Mask. I must say I'm impressed with this Gel Cream. Because of its gel-like texture, it gets absorbed very easily, leaving only soft skin with no residue nor sticky feeling. 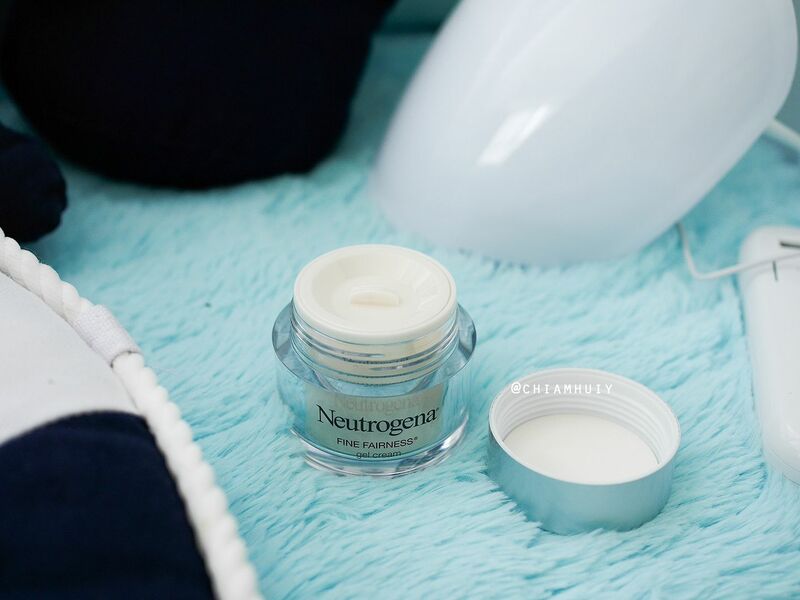 The NEUTROGENA® Fine Fairness® Light Mask is currently available exclusively online at $119.90 (includes one Mask and a 30 session Activator) at Lazada.sg and Qoo10.sg. 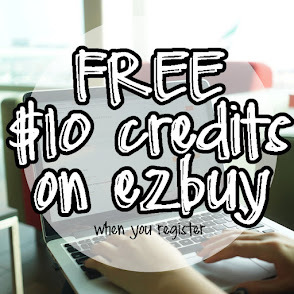 Check out participating online retailers for more information.